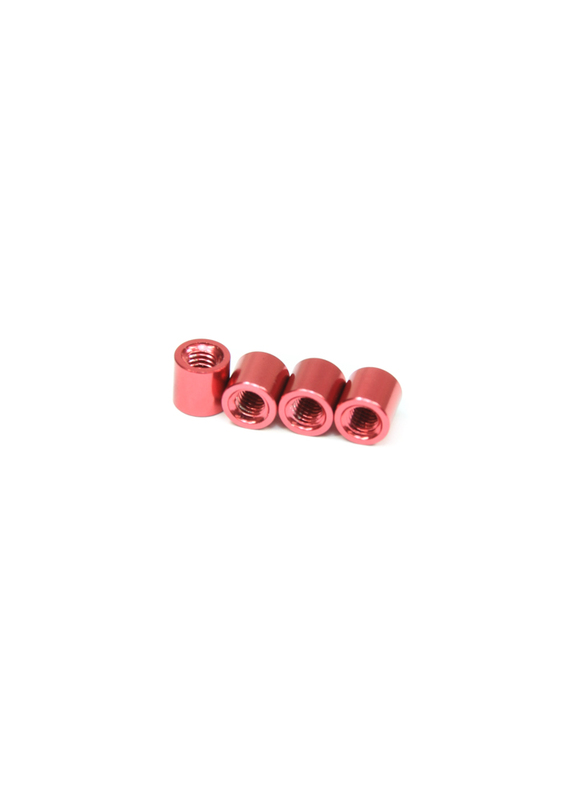 These particular spacers are made from a lightweight aluminium alloy and are fully threaded to suit M3. We offer a range of sizes from 5mm to 50mm in eleven different anodised finishes: black, titanium, silver, gold, purple, pink, red, orange, light blue, blue and green. Each pack comes includes a set of 4 spacers.